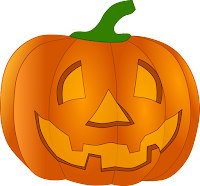 3-Winners Holiday Contest and Sweeps along with a great group of fellow blogs are pleased to work with The Popcorn Factory to bring you the "The Popcorn Factory Fright Night 7-Tier Tower Giveaway". Three lucky readers who reside in the Continental United States and are 18+ years of age will win one of these amazing Towers. Celebrate Halloween in style this year with a Tower of these mouth watering snacks from The Popcorn Factory. Whether serving a skeleton crew or a gaggle of ghosts, this 7-Tier Tower provides a medley of Halloween favorites and popcorn delights. 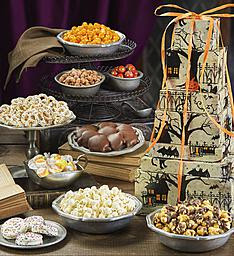 The tower includes Candy Corn Taffy, Rainbow Sandwich Cookies, Pixies®, Confectioners' Coated Chocolate Toffee Pretzels, Milk Chocolate Halloween Balls, Honey-roasted Peanuts, and 3 flavors of popcorn: Cheese, White Cheddar and Drizzled Caramel Corn. Tower serves 5-7. What a great tower of treat perfect for a party or even your college student away for Halloween. Holiday Contest and Sweeps received a copy of this Tower for review purposes only, no other compensation was received. The Popcorn Factory will be responsible for awarding and shipping the prize directly to the winner.